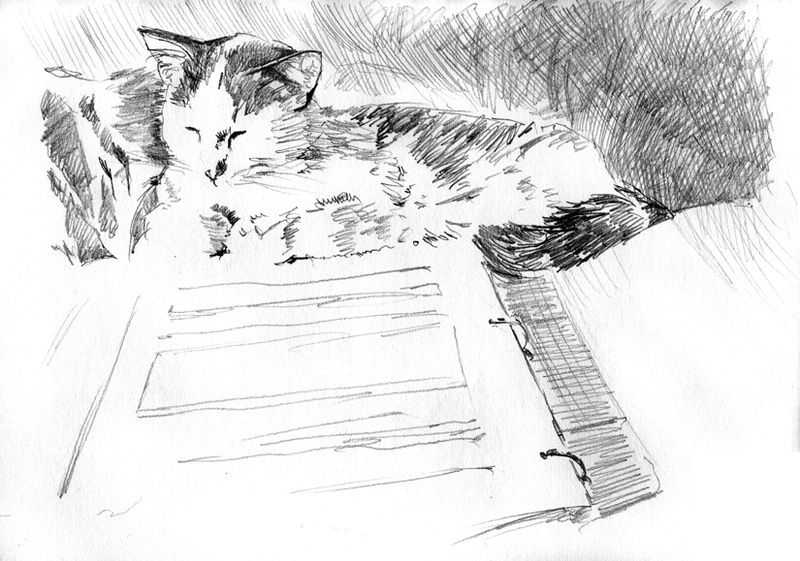 Rough sketch for a future painting of our beloved outside cat, Bowhead. 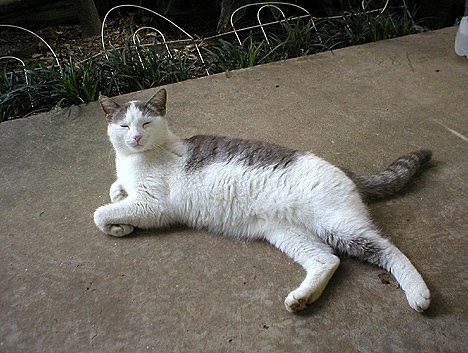 She is just a memory now, but she was a very smart and cool cat! When we first moved into the neighborhood, we soon discovered that “Bowhead” was a favorite of all the neighborhood kids. They had named her “Moon.” My wife, however, remarked that she looked as though she had a big gray bow on her head, so Bowhead she became.